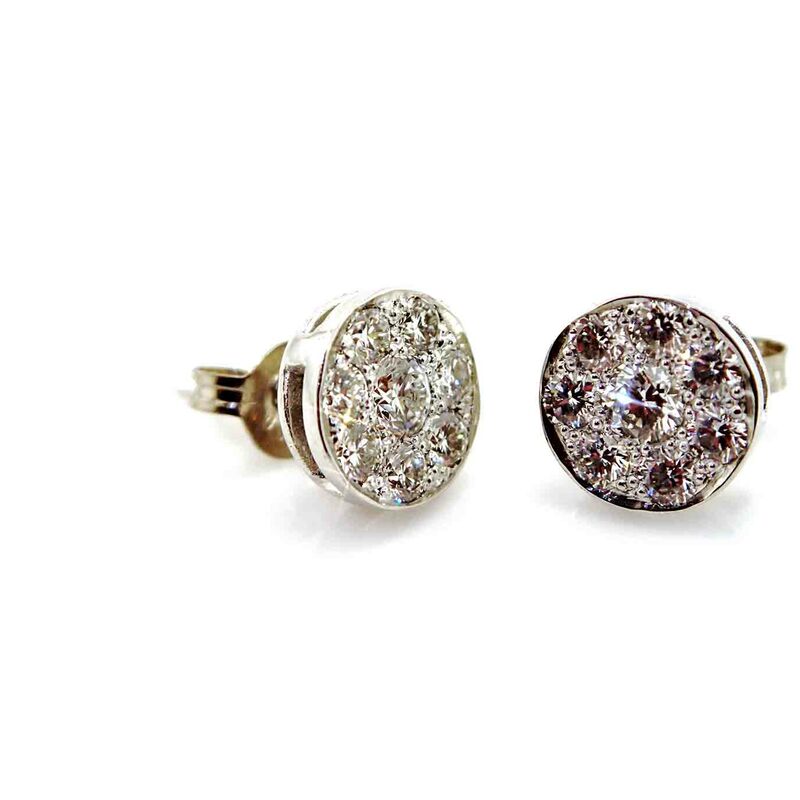 A gorgeous set of bespoke flower cluster stud earrings, featuring 7 round brilliant diamonds in each earring, bezel set around the outer edge with mill grain finish. 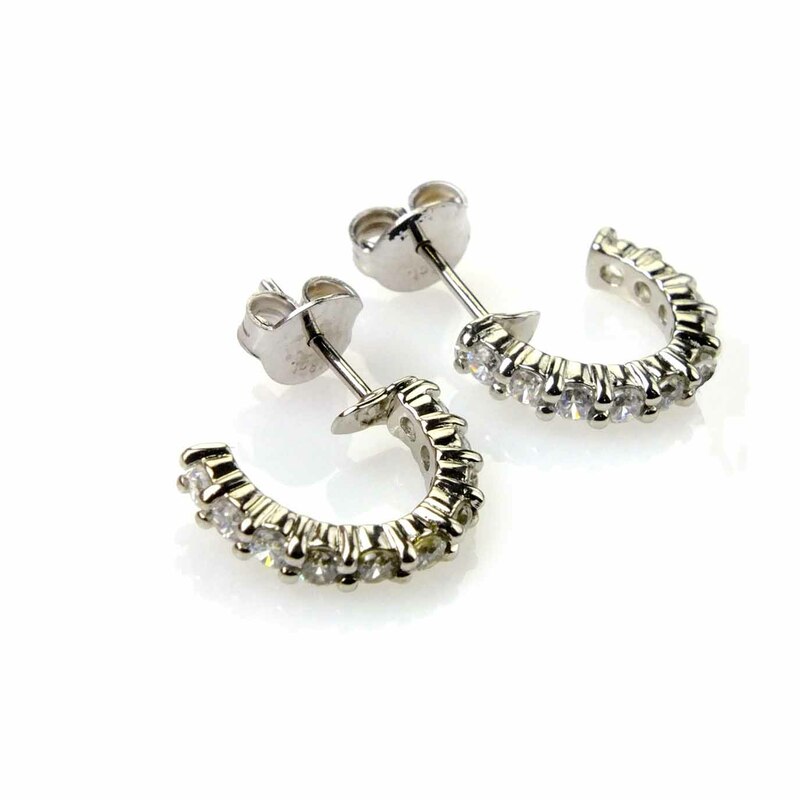 Hand crafted in 18k white gold. 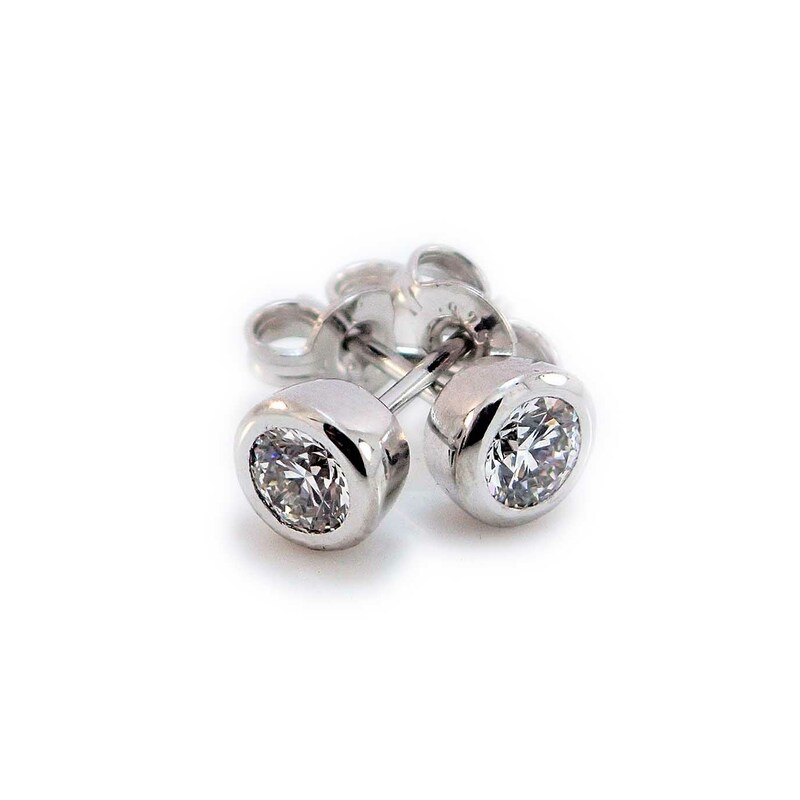 14 x 0.05ct modern round brilliant diamonds. D-F Colour. VS1-VS2 Clarity. 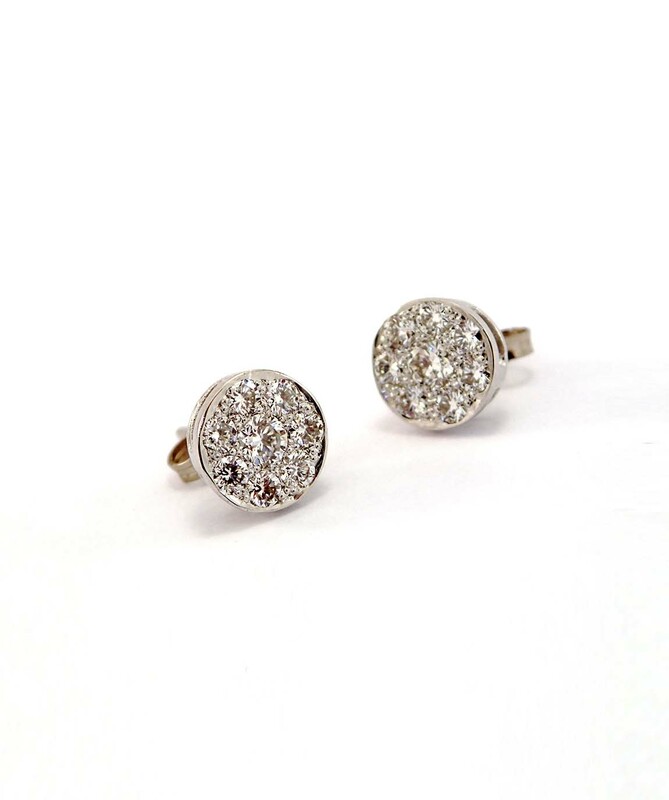 A gorgeous set of bespoke bezel cluster stud earrings, each earring featuring 8 round brilliant diamonds fine bead set and bezel set with bright cut edge. Hand crafted in 18k white gold. 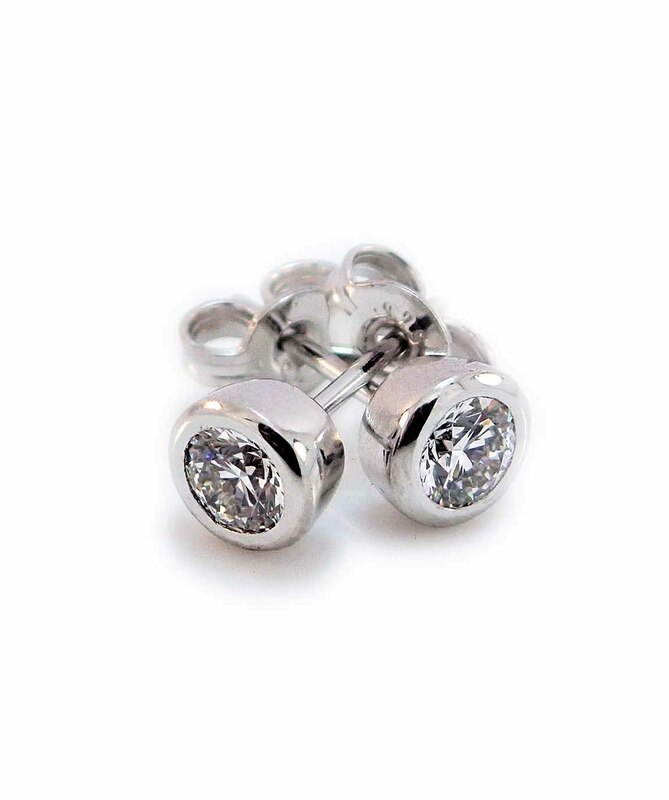 2 x 0.10ct, 14 x 0.032ct modern round brilliant diamonds. D-F Colour. VS1-VS2 Clarity. 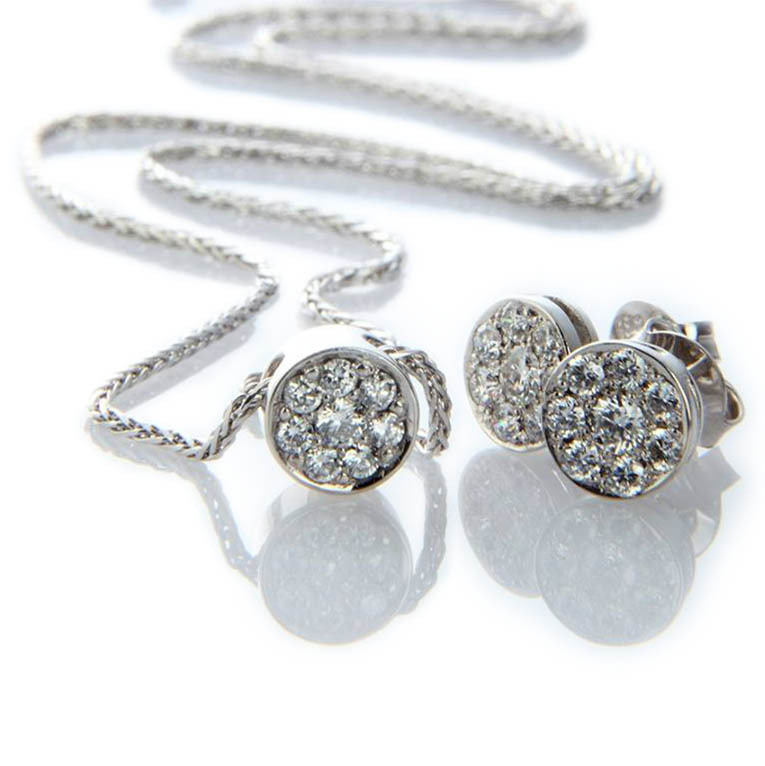 2 x0.50ct modern round brilliant diamonds. D Colour. SI2 Clarity. 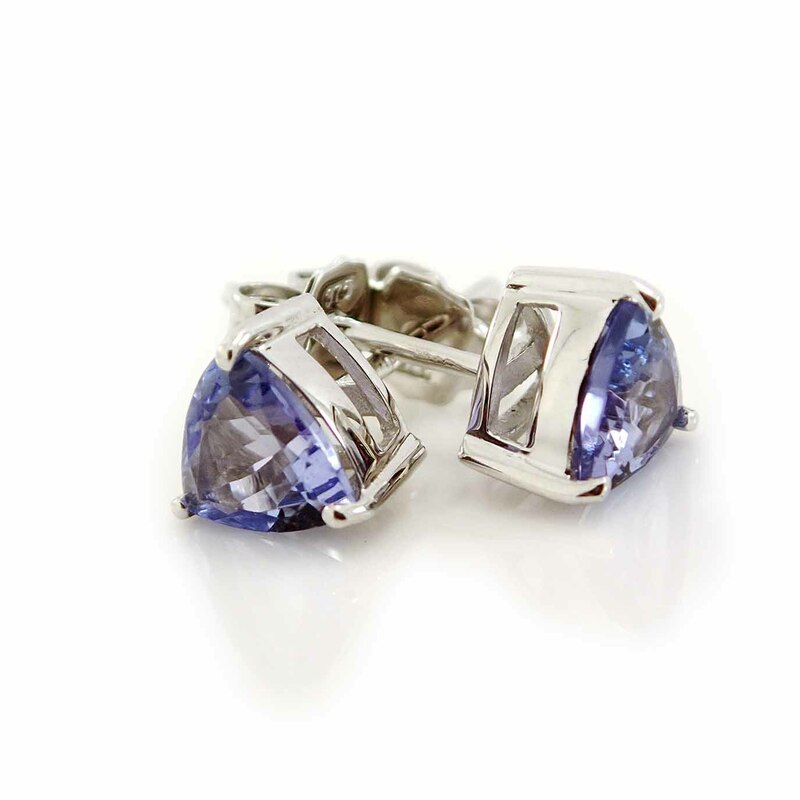 A beautiful set of hand finished round faceted or Trillion tanzanite stud earrings. 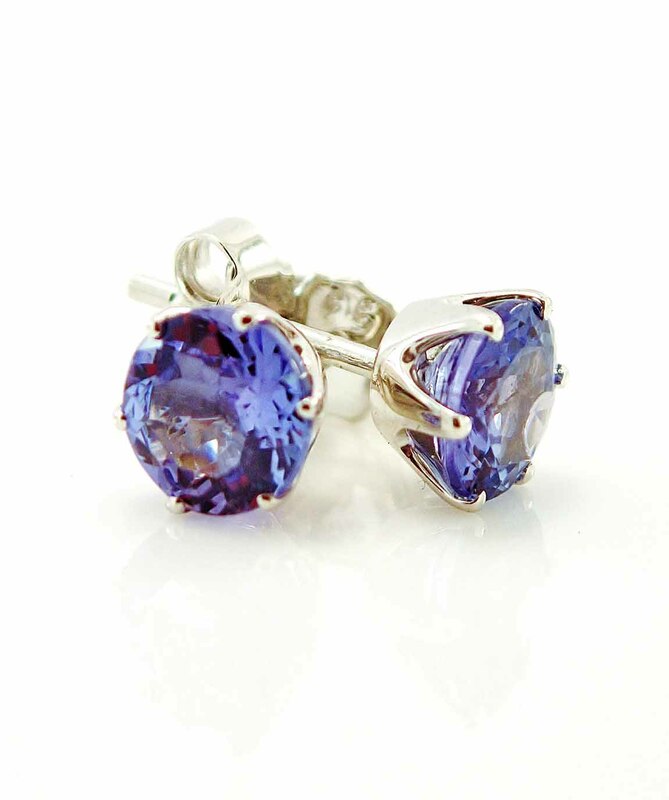 Each earring features a 6mm round or trillion faceted tanzanite 6 fine claw set in 9k white gold. 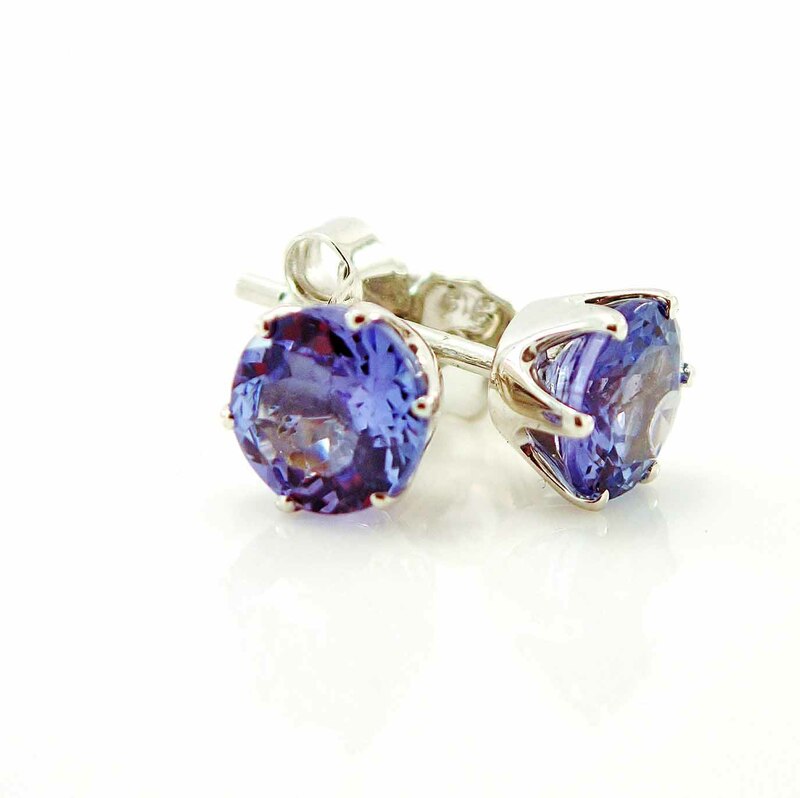 2 x 6mm natural round or trillion faceted tanzanite’s. Medium/light lilac with even tone and hue. 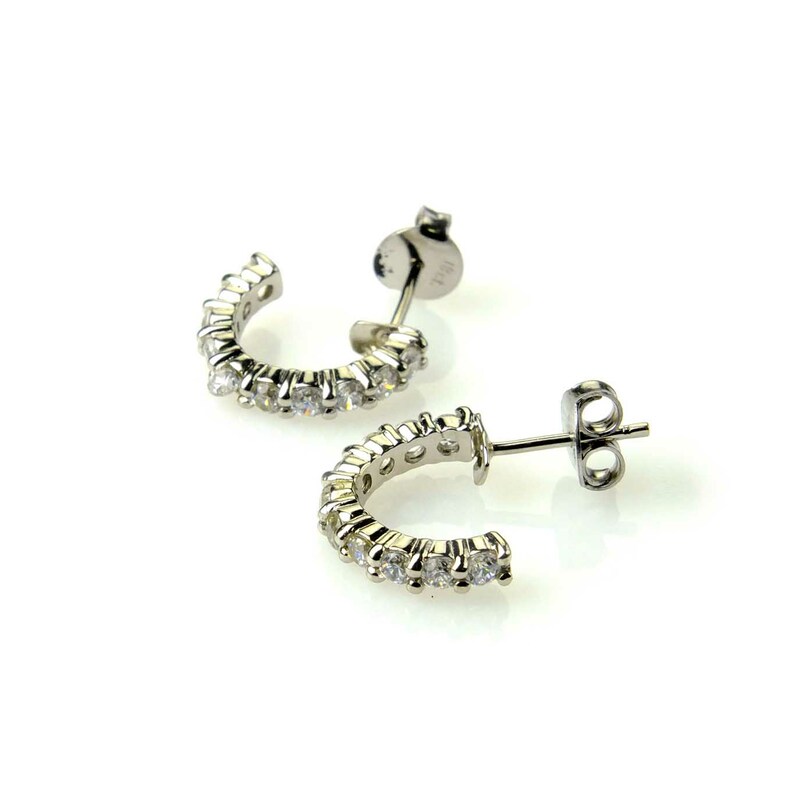 A classic vintage half hoop earring hand crafted in 18k white gold. 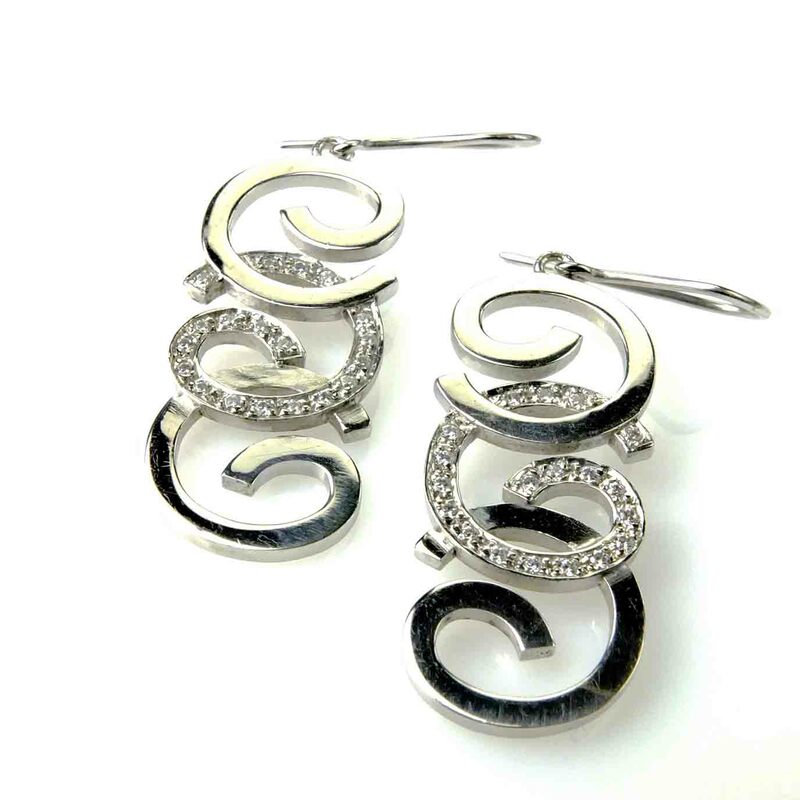 Each earring features 10 round brilliant diamonds fine claw set with vintage scalloping on the side wall. 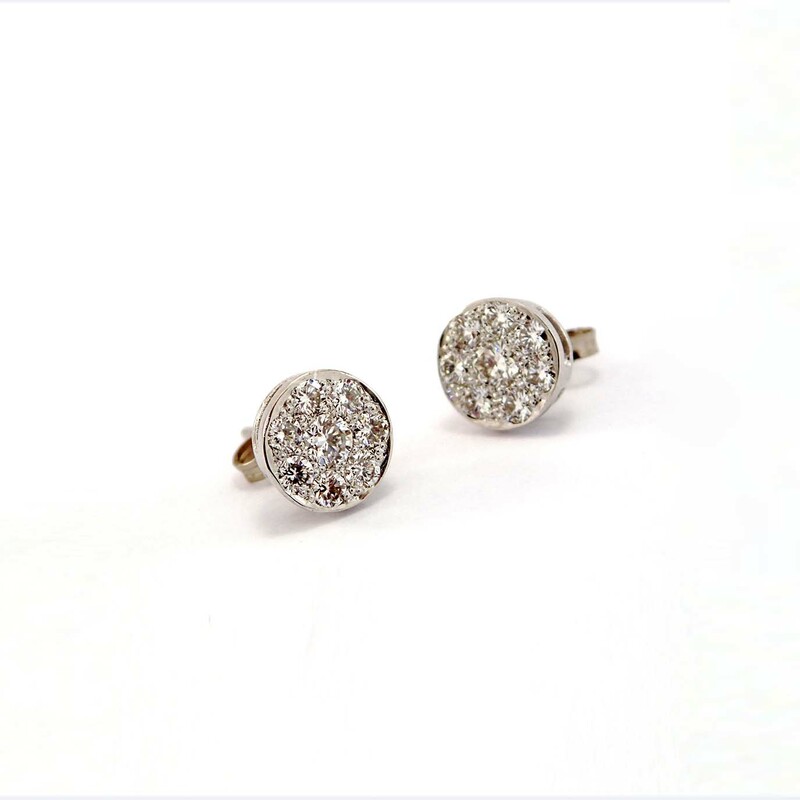 20 x 0.07ct modern round brilliant diamonds. D-F Colour, VS1-VS2 clarity. 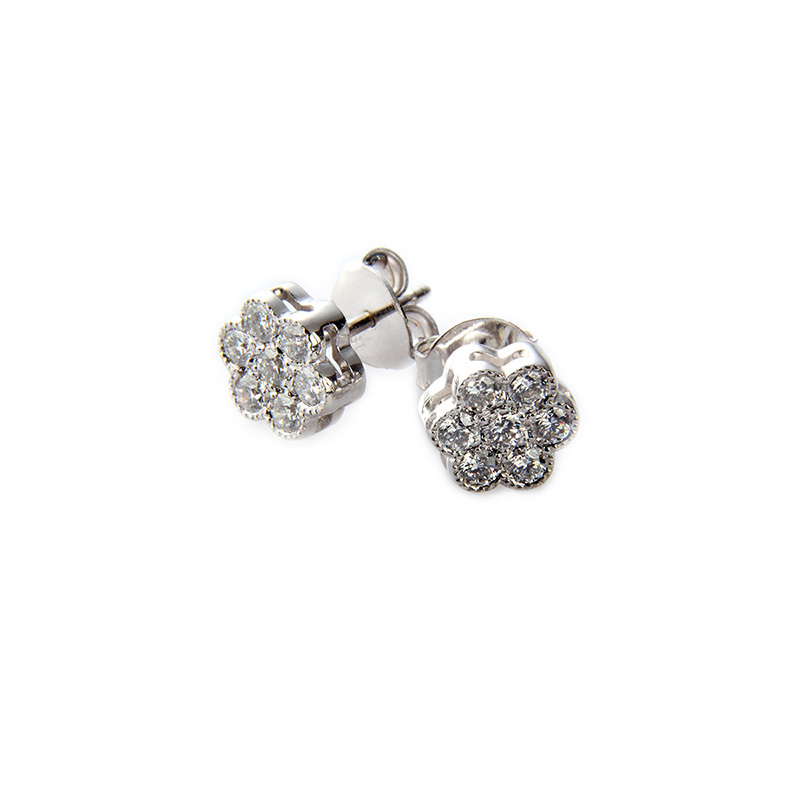 featuring 14 round brilliant diamonds in each earring, fine bead set in 2 rows. 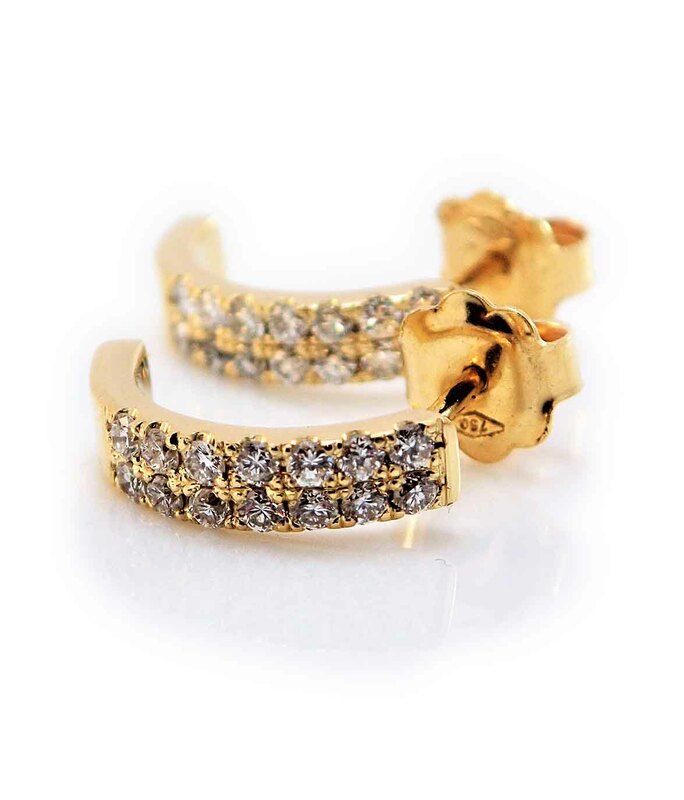 Hand crafted in 18k yellow gold. 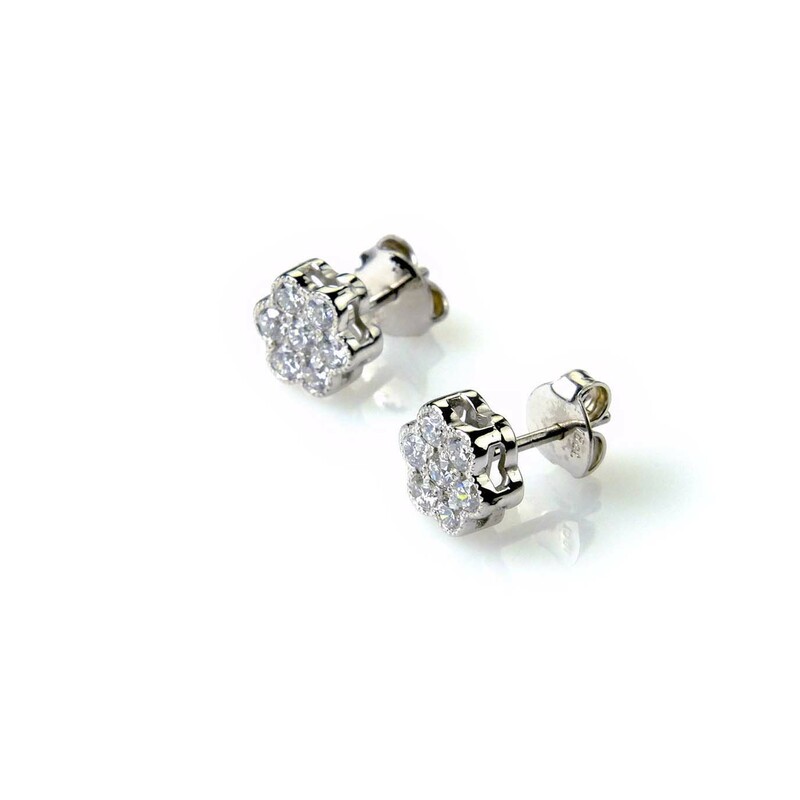 28 x 0.05ct modern round brilliant diamonds. D-F Colour. 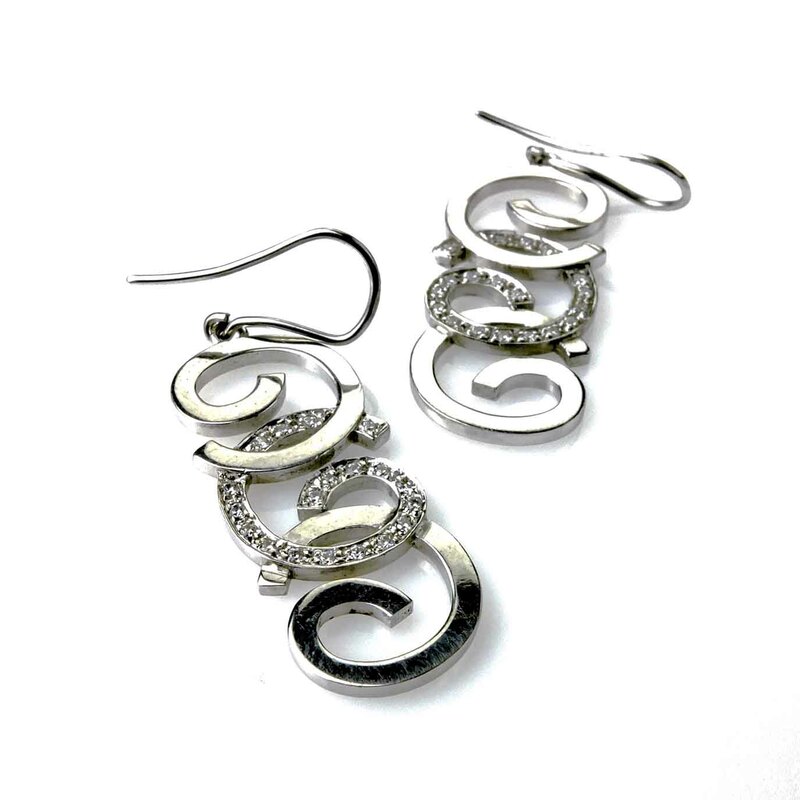 A classic New Zealand Koru design vintage shepherd’s hook earring, beautifully hand crafted in 18k white gold. 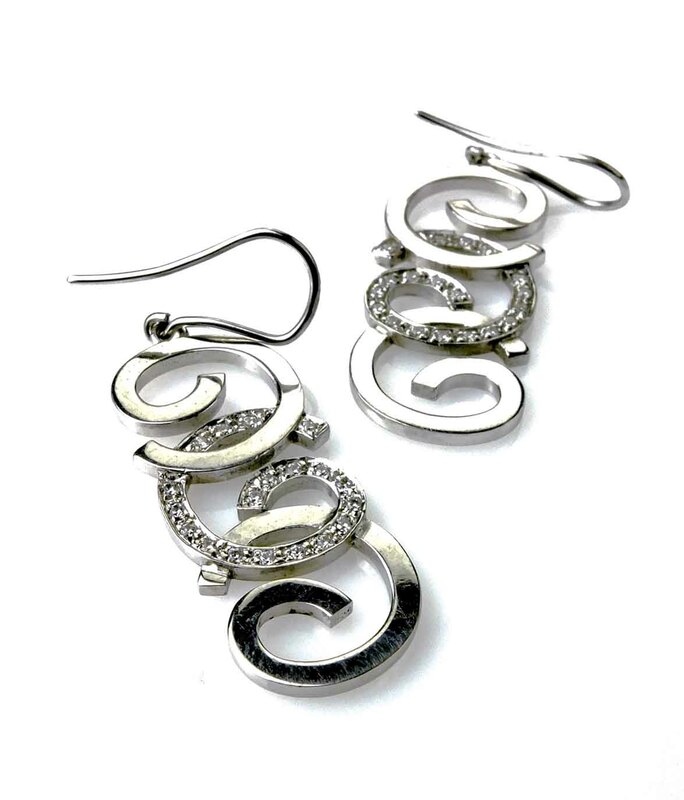 Each Earring features 3 overlapped koru’s 1 fine pave set with 21 round brilliant diamonds and 2 plain koru’s. 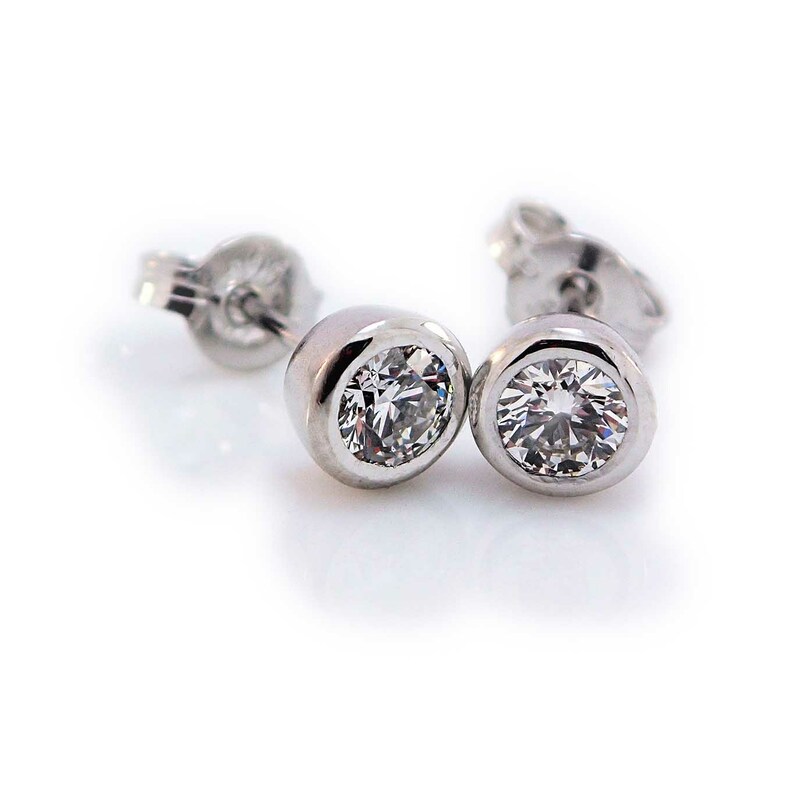 42 x 1.1mm modern round brilliant diamonds. D-F Colour, VS1-VS2 clarity.